A predisposition or a tendency to respond positively or negatively towards a certain idea, object, person or situation. 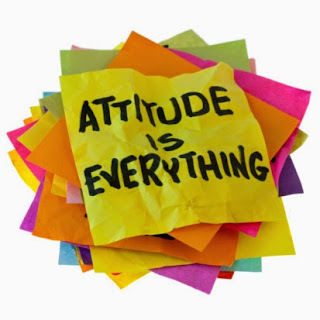 Attitude influences an individual's choice of action, and rewards (together called STIMULI). (1) Affective : EMOTIONS OR FEELINGS. (4) Evaluative : POSITIVE OR NEGATIVE RESPONSE TO STIMULI.